Pi in the Sky – Piday Art #ArtTuesday « Adafruit Industries – Makers, hackers, artists, designers and engineers! The mind of Martin Krzywinski is a rich and dizzying place, teeming with fascinating questions, ideas, and inspiration. Krzywinski is a scientist and data visualizer whose primary line of work involves genome analysis for cancer research. In his spare time, though, he explores his many different interests as a scientific and visual thinker through creative projects. For the past few years, one such project has occupied him on a recurring basis each March: reimagining the digits of pi in a novel, science-based, and visually compelling way. 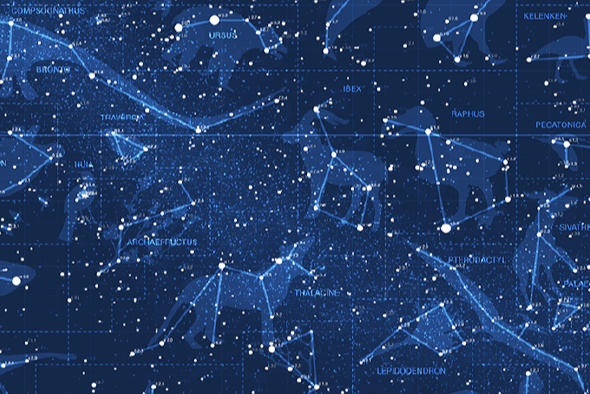 Today, this delightful March 14th (“Pi Day”) tradition brings us the digits of pi mapped onto the night sky, as a star catalogue. Like the infinitely long sequence of pi, space has no discernible end, but we earthbound observers can only see so far. So Krzywinski places a cap at 12 million digits and groups each successive series of 12 numerals to define a latitude, longitude and brightness, resulting in a field of a million stars, randomly arranged. Read more and check out Martin Krzywiski’s website! You can purchase his artwork in poster form here!